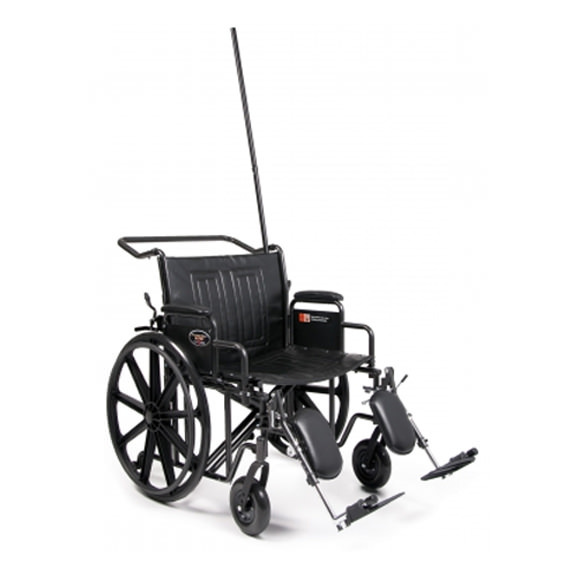 Everest & Jennings Traveler HTC heavy duty wheelchair provides the ideal solution to the hospital/clinical transport need by incorporating special attendant and inventory control features with a heavy duty frame designed to support users up to 500 lbs. 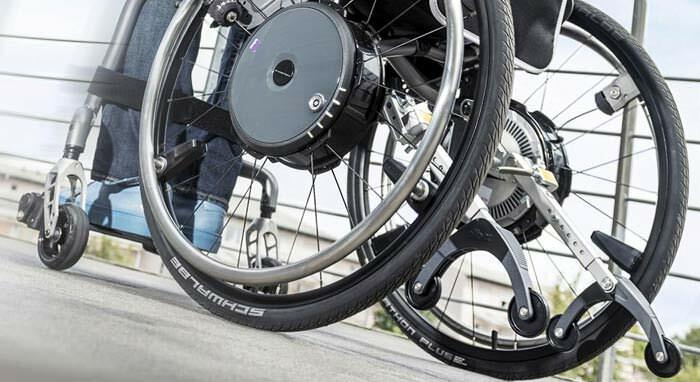 Traveler HTC wheelchair comes with an attendant push handle and rear mounted wheel locks that offer easier transport for the caregiver. 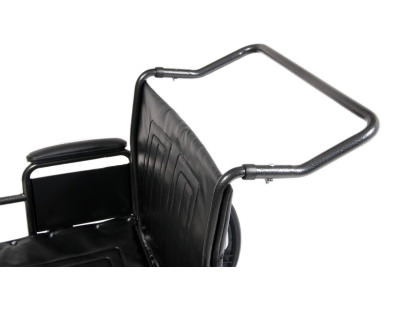 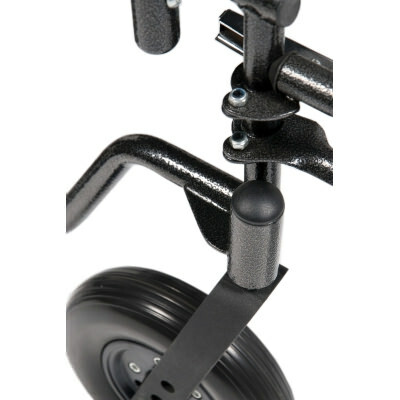 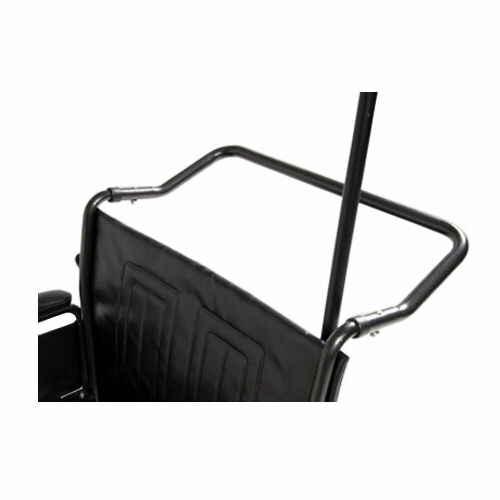 Traveler HTC heavy duty wheelchair has full width push handle that acts as an anti-fold bar and incorporates fixed desk arms, anti-tippers, an anti-theft post, as well as anti-theft nuts on the front rigging as standard features. 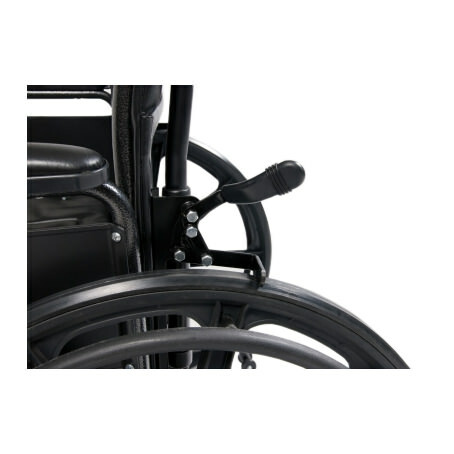 Traveler HTC wheelchair features double cross braces, heavy-duty 5/8" diameter axles, and a long lasting, embossed back and seat upholstery with a double inner liner for durability. 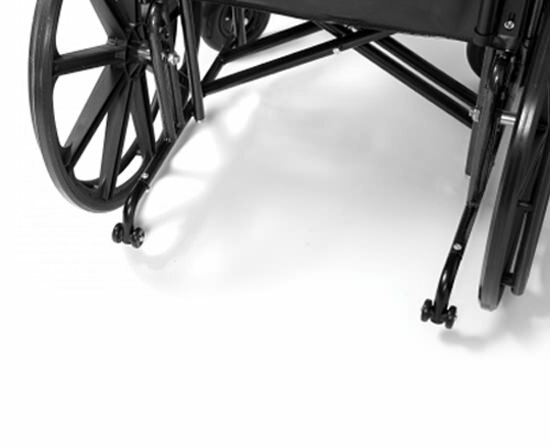 Everest & Jennings Traveler HTC wheelchair is available in 20", 22" and 24" seat widths, with 18" seat depth (1" longer than standard).